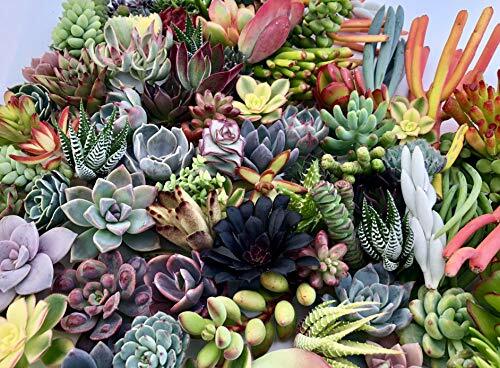 GUARANTEE HEALTHY ARRIVAL: Every order comes with THE SUCCULENT CULT GUARANTEE of live healthy succulent cuttings and our assurance that you will adore your succulent cuttings. 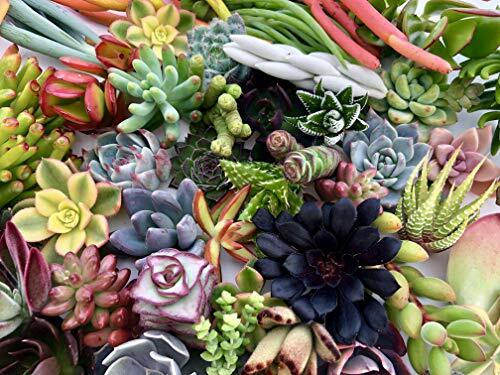 10 UNIQUE VARIETIES: You will receive 10 assorted and unique succulent cuttings ranging from 1.5" to 4" in diameter/length (depending on the variety and how they grow). 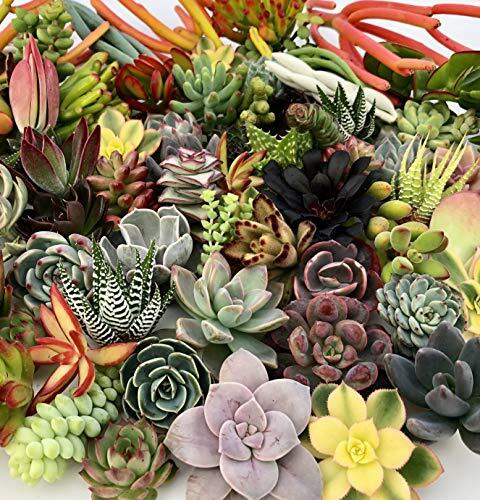 All cuttings will be unique with each order none of which will contain any duplicates. Your order will contain a mixture of colors but please note that our nursery growing cycle changes year-round, so varieties/species we send will vary weekly. 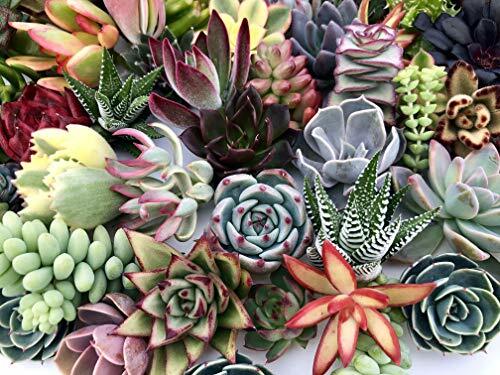 HAND SELECTED PESTICIDE-FREE CUTTINGS: All succulent cuttings are hand-picked & cut with care from our PESTICIDE-FREE greenhouse grown stock plants, to ensure your FAMILY AND PETS aren't exposed to harmful toxins found in pesticides used by major nurseries nationwide. 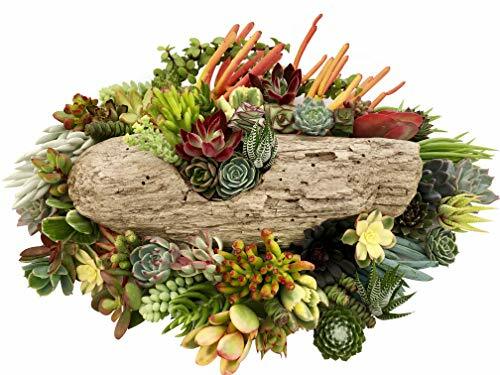 UNIQUE GIFTS: Everyone loves receiving succulents as a gift, from moms and dads to grandma's and grandpas. 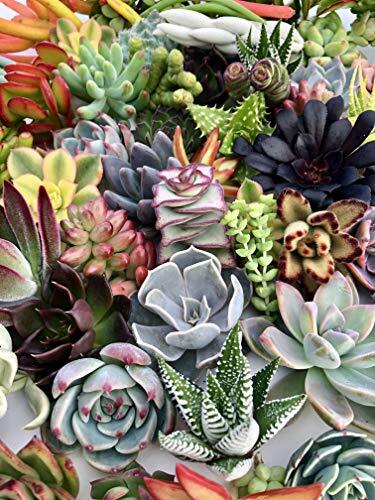 Our succulent cuttings are sure to put a smile on anyone's face no matter the person or occasion. 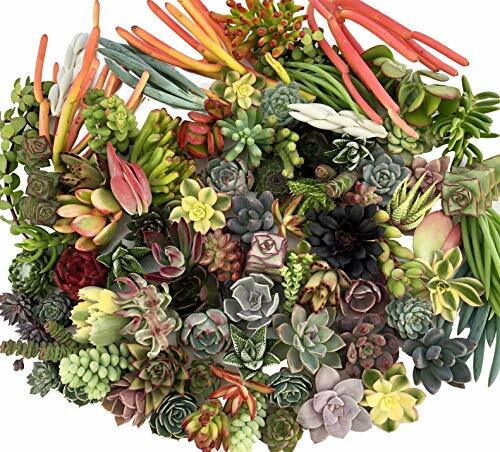 DYI DECOR: Succulent cuttings are a great DYI project idea to add character to your home. Let your imagination run wild in creating something original and personal. Put them on display in geometric vases, unconventional planters such as baskets, lanterns, birdhouses, to wall mounts, dinner table centerpieces, or even desk decor.